Mold thrives on moisture and, if left unchecked, mold will consume carpet, wood, food, and even dust. If mold is left to thrive for an extended period of time it can cause structural damage and destroy building materials. 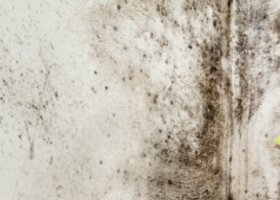 If you suspect that you have mold growing in your home or office contact Hitchcock Clean and Restore as soon as possible. Our certified professionals can evaluate your situation and create a customized plan that will completely remove any trace of mold or mildew in your home or office. Why Should You Choose Hitchcock for your Mold Removal Needs? Honesty, trust, ethics: Unlike other mold removal companies, Hitchcock Clean and Restore does not use unethical practices to scare people into using our mold removal services. Our professionals will give you sound, expert advice on the removal of mold in your home or office. After you meet with our mold removal professionals you will have the knowledge you need to make an informed decision. Educated Professionals: When it comes to mold – It’s what you can’t see that can cause you harm. That’s because mold spores are microscopic and can become airborne very easily. Once mold spores are airborne, bad things start to happen. Airborne mold spores are easily inhaled and they can get into your lungs, causing a variety of health risks. Our professionals are educated in finding different types of mold and eradicating them at the source. Safety First: Mold should be handled with care. The professionals at Hitchcock Clean and Restore know how to safely and successfully remove mold from your home or office so it doesn’t get airborne and spread to other areas of your property. Certified and Insured Technicians: Our certified technicians go through extensive training when it comes to mold removal. You can rest easy with the confidence in knowing that you can trust the team at Hitchcock Clean and Restore and that we know how to safely remove mold with quick efficiency. Trust Hitchcock Clean and Restore, Berks County’s top choice for mold removal, to safely and completely remove all of the mold and mildew in your home or office! We guarantee our mold removal services 100%! Team Hitchcock: Your Honest, Ethical Mold Experts! Call Hitchcock Clean and Restore Today! !